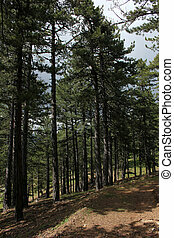 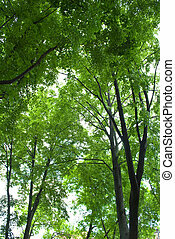 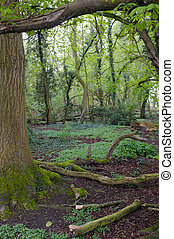 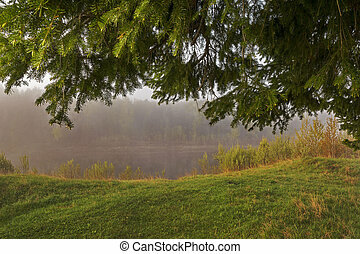 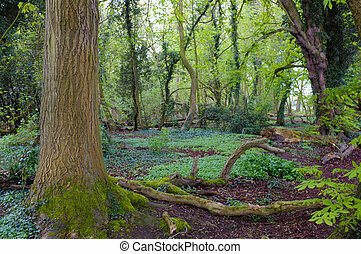 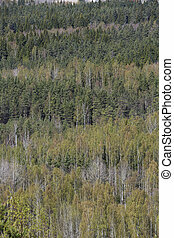 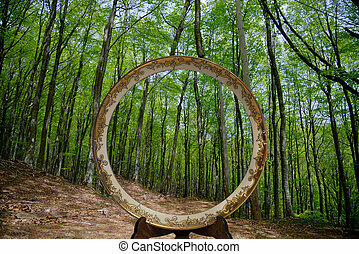 Forest frame. 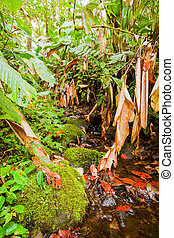 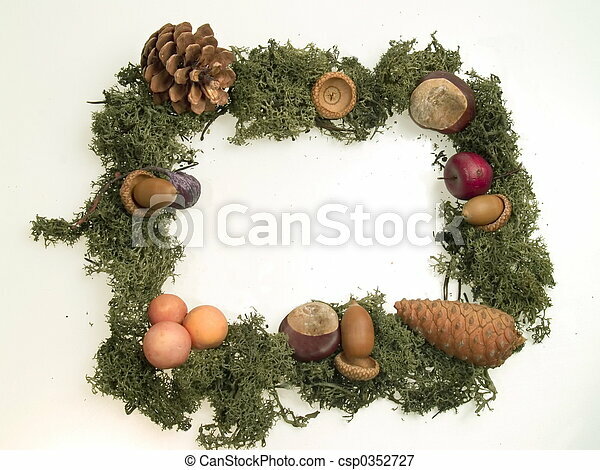 Moss, acorns and mushrooms frame at white background. 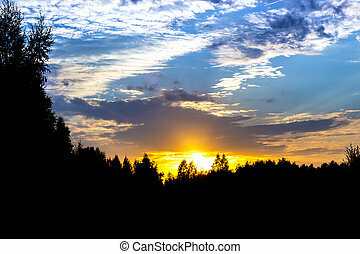 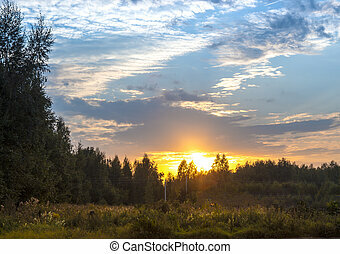 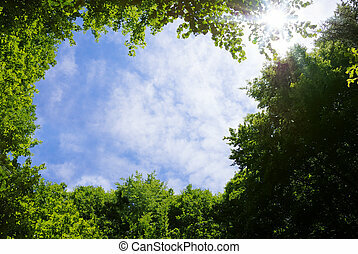 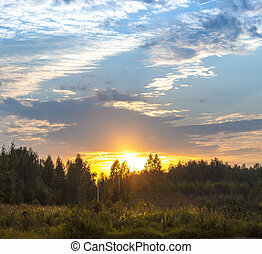 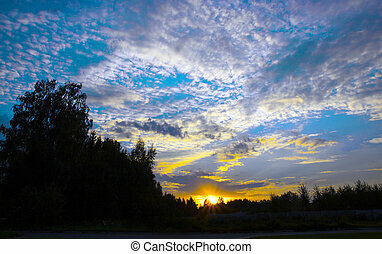 Picture frame made of tree tops surrounding sky and Sun. 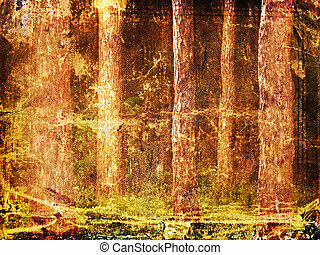 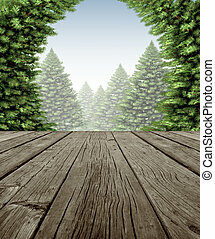 Winter forest frame scene on old weathered wood patio deck with a view of a wintery forest of green pine trees on a cold day as a symbol of the festive seasonal holiday in nature.